I was working a little bit on the Galileo E11 dataset this afternoon. I am switching over to work on Enceladus images now that data from today's Cassini encounter are hitting the ground. I thought I would share the one image I did get done with today. 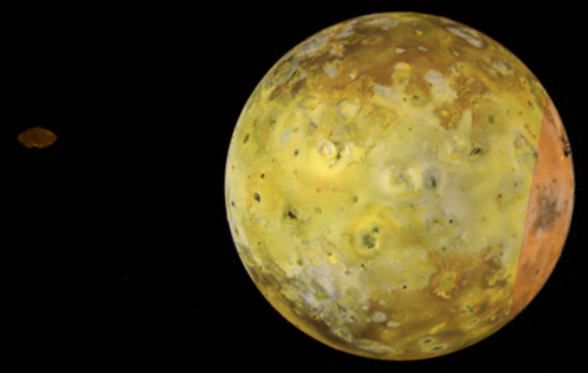 The image at left is from the 11ISLOWPHA01 observation and shows Io's sub-Jovian hemisphere in RED-GREEN-VIOLET color (with a little bit of "Voyager" color on the right edge where there is no GREEN filter data). 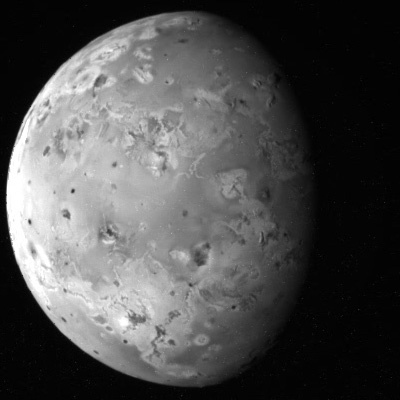 The RED filter image also captured Amalthea, one of Jupiter's small inner satellites, as it passed through the field of view at the time. 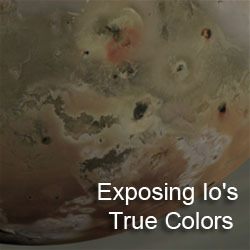 Surface features can appear quite different on Io depending on the phase angle. 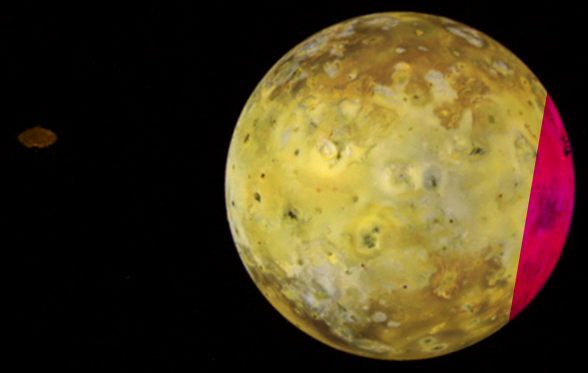 This image was acquired when Galileo was almost directly between Io and the Sun, a low phase angle. 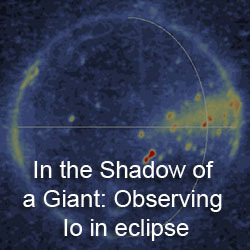 The 11ISTOPO__01 observation, acquired seven hours later, shows much of this same area at a moderate phase angle. 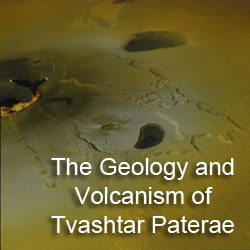 Some lava flows and plume deposits stand out more at moderate phase angles than at low phase angles.